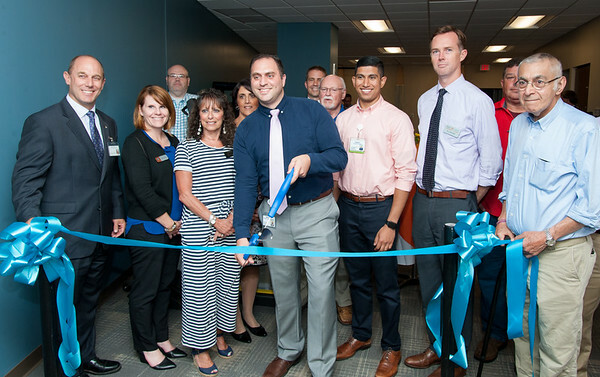 NEWINGTON – The town of Newington welcomed two new facilities, the Hospital of Central Connecticut Rehabilitation Network and Hartford HealthCare-GoHealth Urgent Care Tuesday with a ribbon cutting ceremony. The two facilities are combined and located next to each other at 40 Fenn Road. These health care providers offer urgent care and rehabilitation services. Mayor Roy Zartarian said that he is proud to see the medical profession grow in town, and thanked the new facilities for picking Newington. 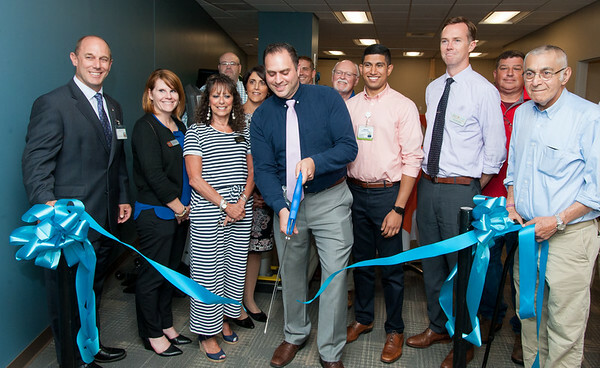 The Rehabilitation Network opened on March 26, and Hartford HealthCare-GoHealth Urgent care opened in October 2017. Along with its recent opening, the Rehabilitation Network is offering new services to its practice such as Vestibular therapy, IASTM by Graston, and Dry Needling. The traditional practice includes physical therapy, sports medicine, balance and falls, concussion management, work injury rehabilitation, McKenzie Method, and golf rehabilitation by Titleist Performance Institute. The Hartford HealthCare-GoHealth Urgent Care is a walk-in center that treats non-life threatening injuries such as colds, cuts, urinary tract infections, dehydration, insect bites, vomiting, diarrhea, rash, headaches, sore throats, and strains. Patients are in and out of this urgent care facility in an average of 35 minutes, Curtis DalBon, marketing specialist for the urgent care facility, said. Matthew Kurimai, the physical therapy supervisor at the Rehabilitation Network said the center receives a wide variety of patients mainly from Newington, West Hartford, and New Britain. The facility used to be at Kelsey Street before it moved to the new location. Kurimai added that the extra space is beneficial because they do a lot of athletic type treatments, and it helps them have patients move without bumping into walls or into people. To learn more about Hospital of Central Connecticut Rehabilitation Network call 860-829-1300, and to reach the Hartford HealthCare-GoHealth Urgent Care call 860-777-1283. Posted in New Britain Herald, Newington on Tuesday, 17 July 2018 20:46. Updated: Tuesday, 17 July 2018 20:49.